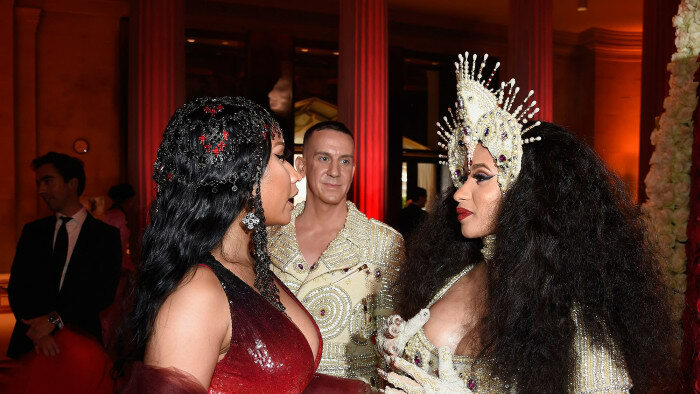 This weekend proved to be an interesting one, with Eminem's diss track "Killshot" toward Machine Gun Kelly, racking up over 57 million views on YouTube since being released this past Friday (Sept. 14). The beef, which initially stemmed from Eminem issuing a warning shot on his recent album Kamikaze, escalated to a new level when MGK took matters into his own hands, issuing a diss track "for his generation" titled "Rap Devil." With all eyes on Eminem, the rapper later addressed the situation during a multi-part sit-down interview with Sway, explaining that he's "gotta answer." Soon thereafter, Eminem's response was set free online, with thousands weighing in and digesting both tracks. 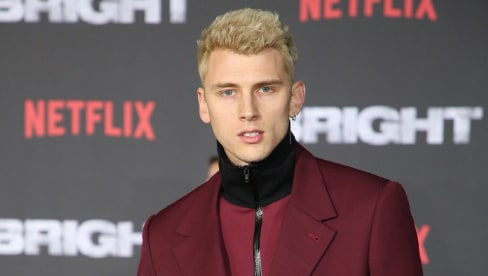 Over the weekend, during a performance in Florida, Machine Gun Kelly shared his reaction to Eminem's scathing response, reassuring fans that he still isn't phased and riling up those in attendance with occasional 'F--k Marshall Mathers' commentary. 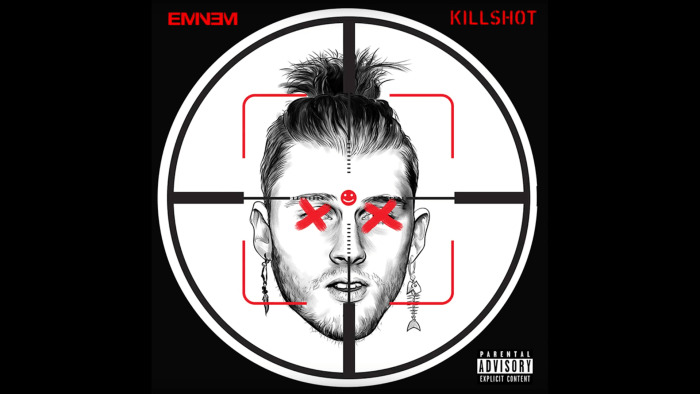 On top of that, the 28-year-old rapper also wore a T-shirt sporting the cover art for Em's track, which features a target over his face, holding up his middle fingers and captioning the image: "he missed." From MGK taunting Em on stage and on social media alike to his track "Rap Devil" still sitting at the No. 1 spot on Apple Music's hip-hop chart at the time of this writing, it feels like a safe bet to say that this isn't the last we've heard from either party. Take a look at Machine Gun Kelly's epic troll, below.